​​​Winning Time Training​ offers Hunter/Jumper lessons and training at Northside Stables in Ridgefield, WA (near I-5 in southwest WA). ​Accepting limited new clients for H/J training and lessons: please call or message Zoe at 360.624.7189 to discuss whether Winning Time would be a good fit for you. Thunderbird Season Opener 2019: Winning Time horses had a great show. Coradina Z competed in her first Grand Prix with a 9th place finish (fastest four-fault in the the jump-off). D'Artagnan won two of his three classes during the week (1.3m, 1.4m). Indoctro Sylt van de Eijkhoff was reserve champion in the .75m with Kim Mckie riding. HITS Coachella 2019 was a great start to the competition season for Zoe and D'Artagnan and Coradina Z.
Feb 2019: We're proud to share our newest sponsor, Arc de Triomphe Tack! Zoe loves Arc De Triomphe’s beautiful and durable tack options, from the customizable bridles to halters and girths. ADT Tack is developed and driven by excellence, and you'll see that reflected in the quality of their products. ADT's leather goods are unparalleled in quality and design. Check out their website adttack.com to learn more and shop their selection of products. Feb 2019: We’re excited to announce that Winning Time Training’s Zoe Conlee is now a USHJA Certified Trainer! 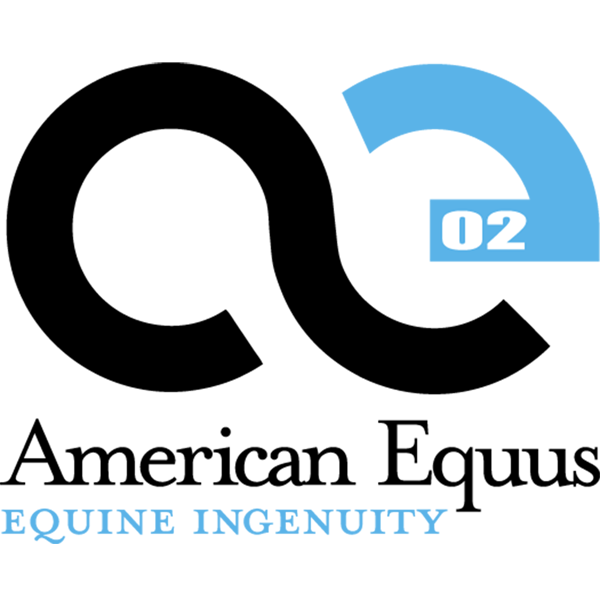 December 2018: We’re excited to share our new partnership with Ellany Equestrian. Founded in 2016, their collection includes gorgeous belts and their new line of cutting edge breeches. 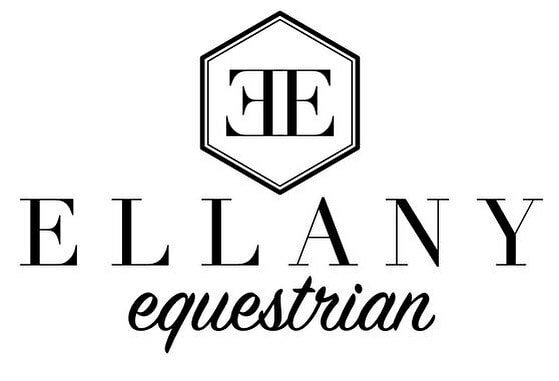 Check out their website ellanyequestrian.com to shop their beautiful products! November 2018: We had an amazing weekend with hosting the Bernie Traurig clinic. We had 23 great horse and rider combinations and a collective 17 hours of teaching over the course of the weekend! Thank you to everyone who helped make it possible, including Sterling Essentials, Halter Ego, and Purvida Healthy Horse for sponsoring our rider goodie bags. Congratulations to Paige and the Preece family on their lease of Irresistible! We are very excited to welcome this handsome 5 year old Canadian Warmblood gelding to the family. Many thanks to Lorrie Jamieson, owner and breeder, for sharing “Arnie” with us. Fall improvements have been happening here at Northside stables. Footing was improved using ArenaAid and sand addition. The stalls were all pressure washed and stripped and rebedded. Turnouts were rebuilt and gravel added. And the viewing room was redone to give our riders and their fans a comfortable, warm place to watch winter lessons. So proud of our girls this weekend at NW Spectacular. There were a lot of first times and learning moments, and smiles to match! Paige, Brooklyn, and Callie all had their first classes at 2’9” and .85m, and did so handily! Ashlyn had a gorgeous second place in her Hunter Under Saddle, and Paige and Brooklyn ribboned in their very first Mini Medal Finals. And Kim had a great show with our youngster, Indoctro sylt van de Eijkof, starting the week in the .75m & finishing in the .95m. We are excited to announce our new sponsorship with Halter Ego! 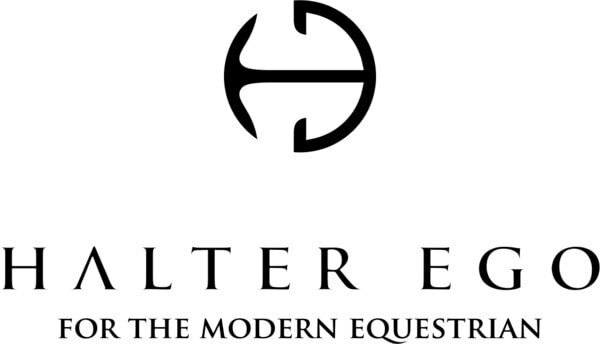 Halter Ego curates emerging designers and undersung equestrian brands from all over the globe. Not only does this company have awesome customer service from fellow equestrians, they have *exclusive designs* from some of the most innovative brands, including one of our favorites, Equestrian Stockholm. Be sure to check out their website, www.shophalterego.com, and follow them on Instagram @shophalterego and Facebook so that you can see all of their latest drool worthy designs. Zoe went to August Thunderbird with Cora and Rebel when two stalls opened up last minute. Zoe and D’Artagnan were double clear in the $750 Open 1.35m to finish 2nd place. Coradina Z was double clear and 2nd out of 25 entries in the $750 Open 1.20m, and had a great round in the 1.3m $10,000 class although one rail kept them out of the ribbons. It was a worthwhile trip to Bend for the Grand Prix, with Zoe and D’Artagnan finishing 3rd on a very tough track in the $25,000 Sherri Allis Memorial Grand Prix at the Oregon High Desert Classic! Winning Time Training is honored to announce their new partnership with International Riding Helmets! IRH is a US based company providing safety and style in an affordable package. Founded in 1986, they are constantly evolving to meet both safety standards and rider needs! 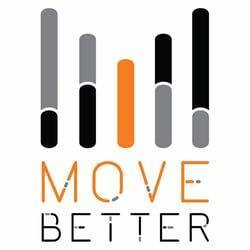 Winning Time Training is thrilled to announce our newest sponsor, Move Better Chiropractic! Their offices are located in Portland, and they serve both animals and pets. Dr Whitney is a Doctor of Chiropractic, has a Masters degree in Sport Exercise and Sport Science, and is a Certified Animal Chiropractor. She has already done amazing work on our horses, and we look forward to continuing that relationship to help our equine athletes achieve peak performance! Winning Time had an all around amazing week at OHDC I! Great riders and horses ❤️ Malbec was Champion of the Short Stirrup Hunter with Ashlyn in the irons, and Champion USHJA Hunter with Zoe. To the Moon and Back had great round in the Child Pony Equitation and Hunters, earning 1st today in the Hunters with Brooklyn. They also had fun playing in the .75m Limit Jumper, taking 6th. D’Artagnan was 8th in the $25,000 Grand Prix, 1st in the 1.30m, and won Jumper Ride of the Day in the Grand Prix ring. True North was 1st and 3rd in the .90m Special Jumpers. Raminka Z had a great first show, getting experience in the 18” Hunters and schooling a bit bigger on her days off of showing. Only three went to the Western Family at Thunderbird Show Park, but what a week they had! True North (for sale) finished the week with a second place in the competitive Child/Adult Classic after placing first and second in huge classes earlier in the week. D'Artagnan was 4th in the U25 class, and Coradina Z jumped like a seasoned pro for a 4th place in the 7yr olds. We are very excited to announce our newest sponsor, Purvida Healthy Horse! We love their all natural coat spray, with an essential oil blend that helps soften and soothe the skin and hair. Check out their website and stay posted for new product offerings! April 21, 2018: Congratulations to the Winning Time riders on a great show at Quiet Rein! Sophia L. and Aries - Champion of the Pre-Children’s section C. Brooklyn C. and To the Moon and Back - 1st in the OHJA Mini Medal. Paige P. and Cill Dara Silver - 2nd and 3rd in the Pre-Children’s section C. Callie P. and Yukon - 2nd, 3rd, and 4th in the Short Stirrup. Emma P. and Champagne Mist - 3rd and 4th in the .95m Jumpers. Kamryn K. and Remington C - 4th and 6th in the .95m Jumpers. Sterling’s Americano - 4th and 6th in the .70m Jumpers. Winning Time welcomes Coradina Z. Cora will be joining us from France where she has been trained and developed by Haras du Ry for the last several years. Cora is a 7yr old Zangersheide mare by Cardento (damsire: Kannan). April 5, 2018: Congratulations to Kristin Johnson on her purchase of Copper! March 25, 2018: Congratulations to our riders on a fabulous day at the Iron Horse Spring Hunter/Jumper Schooling Show! Ashlyn C. and Sky Rocket - Three 1st places in the Modified Pre-Child/Adult 2’3”. Brooklyn C. and To the Moon and Back - Two 1st places in the .60m Jumpers at their first show together, and Brooklyn’s first jumper classes. Kamryn K. and Remington C - 1st in the .95m Jumpers, her first class at that height, and 3rd in the .85m Jumpers. Zoe Conlee and Cadenza - 1st and 2nd in the Green Horse Jumpers. Melissa Brown and Hopetoun - 3rd in the .90m Jumpers. Young horse Loubas had a very educational schooling day at his first show since arriving in the US. March 2018: Congratulations to Brooklyn and the Cornelius family on their lease of To the Moon and Back, a gorgeous large pony. February 2018: Congratulations to Callie and the Preece family on their purchase of Yukon! This lovely Welsh pony gelding will be joining the Winning Time Training family. Thank you to K&S Elite Sport Horses’ Katinka and Sebastien for assisting in the sale! We are thrilled to announce sponsorship by premium leather care company Sterling Essentials. The products are fabulous for your premium leather saddlery and smell so nice you'll find yourself looking forward to tack cleaning. October 14, 2017: Winning Time riders had another great day at the Quiet Rein Show yesterday! We are very proud of the girls and their excellent display of riding and horsemanship on a long show day! Brooklyn C and Blue Bayou swept their Short Stirrup Equitation division, winning all of the classes and earning the Champion ribbon. Ashlyn C and Sky Rocket were Champion in the 18" Division at their very first show together as a team. Victoria B and True North were Champion in the .95m Jumpers. Callie P and Blueberry Hill Z were Reserve Champion in the Trot a Pole, at Callie's first ever show. Paige P and Cill Dara Silver earned 2nd and 3rd places in the Short Stirrup Equitation. Kamryn K and Remington C had Spectacular rounds in the highly competitive .85m division, earning 3rd, 4th, and 7th place ribbons. They also competed their highest ever as a pair. Soraya H and Casanova had spirited rounds in the Prechildren's Equitation, earning two 3rds and a 5th. This was their first show with Winning Time Training. October 7, 2017: The Winning Time riders had a great day at the Quarry Ridge Show! Sophia L. and Ryann P. showed off and took Champion and Reserve in the Short Stirrup division out of 12 horse and rider pairs! Ella had wonderful and positive rides in the Pre-Children's division and took Reserve Champion, and Elise P was 2nd in her Hunter Under Saddle class and 5th in Equitation on the Flat! Sept 26-Oct 1, 2017: It was a great end to the Sacramento International Horse Show Welcome Week with Cill Dara Silver and D'Artagnan! Paige P ended with many great ribbons and a 3rd place finish in the Short Stirrup Hunter Classic and Zoe had one rail and two time faults in the1.45m $25,000 Welcome Grand Prix, their biggest class yet as a pair. Sept. 16, 2017: Congratulations to Elise Piet on winning the Nancy Wild Futures Medal Finals with her horse, Sterling's Americano! Sept. 1-3rd: Congratulations to the Winning Time riders on a great week at NW Spectacular! All of the horses and riders were fantastic! Victoria and True North took Champion in the .95m Jumpers and Reserve Champion in the Low Child/Adult Jumpers. Brooklyn and Blue Bayou earned two 2nd place finishes in the very competitive Short Stirrup divisions. Paige and Cill Dara Silver had fantastic rounds, and two 6th place ribbons in the large Short Stirrup divisions. Kamryn and Remington C had a great first show together, earning a 1st place in the .75m Jumpers. Zoe and D'Artagnan were 2nd in the Open Welcome Jumper and 5th in the $9500 Team NW Jumper Classic. 4 year old import Indoctro sylt van de Eijkof had a great first show, finishing on a double clear round in the .75m Jumpers. July 19-23: High Desert Classic was a great experience for Winning Time riders! Photos and results from July 21st: Victoria and True North won their 1.00m Limit Jumper, Zoe and D'Artagnan put in a nice round in the 1.40m Jumpers, baby Toby had a lovely school, and Paige and Brooklyn had a great lesson to prepare for their classes this weekend! Thunderbird was an incredible show for Victoria and Zoe. Victoria and True North made the most of their two classes at Thunderbird, taking 1st in the $250 .90m Child/Adult Jumper Stake yesterday, and 2nd in the $750 Open .90m Jumper Classic. Zoe and Rebel took 2nd place in the MarBill Hill U25 1.40m Classic. June 19, 2017: Congratulations to Kamryn and the Kooch family on the purchase of Remington C! We are excited to have this sweet and talented horse for Kamryn. June 18, 2017: Congratulations to Zoe and D'Artagnan for their 6th place finish in the $15,000 Team NW Classic. June 15, 2017: Congratulations to Paige and the Preece family on the purchase of Cill Dara Silver! We're thrilled to have Snoopy staying in barn and have Paige joining the Winning Time team! May 24-28, 2017: Rose City Opener was a great show for the Winning Time riders and horses. Cill Dara Silver was Reserve Champion in the Small/Large Hunters, Hugo and Kamryn had great double-clear rounds, Champagne Mist and Emma were competitive in the jumpers and had a first place, and Jen and Sparky had beautiful rounds in the top ribbons. Kamryn also catch-rode Cill Dara Silver to great ribbons in the pre-child/adult hunters, and Zoe and D'Artagnan were 3rd in the $10,000 Jumper Derby. May 8, 2017: We are thrilled to announce that D'Artagnan will be joining the Winning Time horses. Look for "Rebel" and Zoe in the big classes this year. Photo of D'Artagnan in Omaha 2016 with previous rider Eric Martin. May 7, 2017: Congratulations to Winning Time rider Lisa Nicole Cotthoff for her High Point English Senior Rider and Reserve Champion Overall Thoroughbred awards at the Thoroughbred Incentive Program show! April 22, 2017: Congrats to the Winning Time riders on their rides at the Winning Time Jumper Show. Both Ryann (on Custom Blend) and Ella (on Cody) were champions of their divisions. March 25, 2017: Congrats to the Winning Time riders on their rides at the last Jumpernite of the season. All the riders had double-clear rounds! March 8, 2017: Winning Time just returned from two weeks at HITS Coachella. Huge congratulations to to Victoria B. and Ava for their win in a huge and competitive Low Child/Adult Jumper Classic! Contara was reserve champion despite only competing in two of five classes in the division. Snoopy was lovely in both hunters and jumpers and is in search of his next owner as he is sadly for sale due to his rider being in college. Jan 28, 2017: Congratulations to the Winning Time girls for their stellar rides at the Washington High School Equestrian Team meet. Caitlyn P. and Victoria tied for first in jumping and Sarah was 4th with her new mare. Victoria also took first place in dressage. Dec 17, 2016: The second Jumpernite show of the season was a success for the Winning Time riders. Bianca had her first show with Chocolate and put in three lovely rounds. Baby Joe was a willing and unspooky gentleman; whoever buys him is going to have a blast. Caitlyn and Aries had smooth and clean rounds and were third in the Four Bar. And Victoria and True North continued their winning streak in the 1.00m Children's Jumper and 2nds in their open Jumper round and in the Four Bar. Videos on Winning Time Training facebook page. Nov 26, 2016: The Winning Time riders had tons of fun at the first Jumpernite show of the season! Congratulations to the girls on their fabulous rides and excellent results. Victoria Bajtay and True North won the Take Your Own Line Special Class, as well as winning the 1.00m Children's Jumper and 2nd in the .90m Jumper. Beca Thomas and Zephyr's Breeze won the .90m Jumper in a highly competitive class, and put in a lovely round in the Clear Round Jumpers. Caitlyn Patel and Aries stepped away from the Hunter ring to show off their smooth turns, riding to 4th in the 1.00m Children's Jumper and 5th in Take Your Own Line. Oct 22, 2016: The first Winning Time Jumper Show is now in the history books! Held on October 22nd, we enjoyed a beautiful fall day completed by the beautiful horses and riders at the show. Save January 21st for the next in our winter jumper series! Congratulations to the Winning Time riders on their success in today's show! Champion .70m Jumpers, Zoe Conlee and Margarita; Reserve Champion .70m Jumpers, Sarah McFatridge and Table for Two; Champion .95m Ch/Ad Jumpers, Victoria Bajtay and True North; 1st Place Walk/Trot Jumper Equitation, Brooklyn Cornelius and Bentley; 2nd Place Walk/Trot Jumper Equitation, Patti Johnson and Bliss; 2nd Place Walk/Trot/Canter Jumper Equitation, Kathleen Elting and Bliss; 2nd Place .75m Jumper, Bianca Reddinger and Zephyrs Breeze; 2nd Place .80m Jumper, Beca Thomas and Zephyrs Breeze; 3rd Place (tied) Four Bar, Victoria Bajtay and True North and Zoe Conlee and Flynn van den Bisschop, 3rd Place Walk/Trot Jumper Equitation, Lisa Cotthoff and Cadenza; 3rd Place Walk/Trot Jumper Equitation, Anais Goedertier and Margarita; Gorgeous rounds in the .95m Ch/Ad Jumpers were put in by Caitlyn Patel and Aries. Joe was piloted to lovely rides by Colleen Peterson in the .70m Jumpers. Oct 1, 2016: And she does it again! Victoria and True North had a great day and were champion of the .95m jumpers with wins in two of three classes. It was a busy weekend for Winning Time clients and so Victoria was the only to attend the Quarry Ridge show, but great way to represent, Victoria! Sept 4, 2016: It was a Winning Time kind of day for Victoria Bajtay and True North! Congratulations on handily winning the Low Child/Adult Classic at NW Spectacular! July, 2016: Congrations to Kendall Pongon on her great riding at the 2016 Country Classic. Kendall and Special Blend were reserve champion in pre-children's hunter and had many beautiful rounds. We are thrilled to announce that Sadie (Rio's Rhapsody) is in foal to Relevantus for a July 2017 foal! Relevantus was 12th place at the World Equestrian Games, competed at the Beijing Olympics, and is the proverbial tall, dark, and handsome. According to Peter Wylde, he was the most rideable Grand Prix horse he ever rode. We're so excited to see the combination of these two 1.60m competitors with great brains and tremendous heart. Welcome to the Winning Time team Flynn! In July, 2016 we purchased Flynn van den Bisschop. He has some experience at the 1.4m but not for the past few years, so we will be working on his fitness and flatwork to return him to the big ring. Summer show season 2016 is going well with Thea continuing to move up the levels as her fitness increases. She was in her first 1.2m class on 7/13/16 and it was easy for her. She is returning to work after being a broodmare for the last four years. Foal Watch: Welcome to the world baby Quickstead!! Sadie delivered a beautiful chestnut-going-gray filly on 6/5/16. Baby Quinn's grandsire is the reknowned Hickstead and dam Sadie had a 1.6m career. Earlier this year: Allie's foal Cascara arrived just before midnight on May 2, 2016 (day 341). Cassi is a beautiful bay filly sired by Cancara Z (Cassini I) and out of Allie. ​First show of the season was a great success for Winning Time riders Ryann and Kendall! Ryann cleaned up in the trot-a-course and Kendall won big in the pre-children's, including the mini-medal. Congrats girls! March 2016 News: 4/16: Toby is now under saddle and has been a gentleman. 3//16: Toby (aka, Indoctro van de Eijkhof (Indoctro x Emilion)) arrived after a week-long trip from the UK (thank you Harrington Horses). Both Toby (Indoctro) and Tia (Tinka's Boy) will be turning 3 this year and are being lightly started. We are excited about the talent in our pipeline of young horses! Nov 2015: Rio's Rhapsody has joined our small group of broodmares. She had a distinguished 1.6m jumper career and is in foal to a son of Hickstead for a June, 2016 foal. More information is on the Broodmares page.